The Marine Corps must be “more flexible” when it comes to retaining cyber warriors, its top officer said, a recognition that the service needs to bolster its recruiting effort for the digital fight. 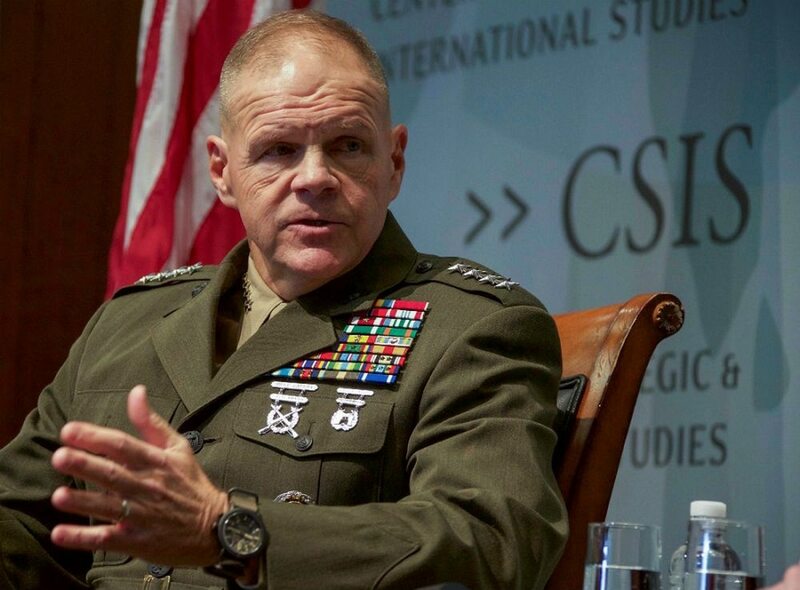 During a June 12 speech, Marine Corps Commandant Gen. Robert Neller said that cyber fighters may follow a different career trajectory than traditional recruits. “If you get qualified as a cyber Marine, you ain’t ever leaving, unless you want to. If you want to stay there and do ones and zeros” that’s fine, Neller said. The recruitment effort laid out during the 69th Current Strategy Forum at the U.S. Naval War College in Newport, R.I. was part of a futuristic vision for the Marines that embraced digital war-fighting. The speech served as a rejection a force that will rely solely on bullets and bombs. Instead, he highlighted a Marine Corps that will also battle in ones and zeroes. He portrayed the Corps as in the middle of a digital battle, “in phase 2.5 against potential countries and adversaries,” an apparent reference to different stages of combat. “Every infantry squad in the Marine Corps is going to fly their own quad-copter and their own UAV,” Neller said, using an acronym for unmanned aerial vehicles. It was a strategy speech that at times crossed over into the realm of popular culture. Neller asked listeners to remember the 2018 Winter Olympics opening ceremony that featured more than 500 automated drones flying in unison. Imagine those same drones but armed. “What happens if 500 mini-drones all weaponized come ‘zorching’ out of the sky, what are you going to do to shoot them down?” Neller asked. He appeared frustrated at the Marine’s acquisition process and acted out a more aggressive negotiation process that he has with defense contractors. When meeting with a vendor selling drones or a piece of equipment that he hopes to stock for the Corps of the future, Neller may ask them if they use 3D printing for their products. “Oh yeah,” the vendor will typically say, according to Neller. Neller admitted his response does not always sit well with the high-powered defense contractors with dollar signs in their eyes. “The room gets real quiet,” he said. The commandant also warned China may soon dominate the South China Sea.